Computers were first used in hospitals for patient services in the United Kingdom forty years ago. Pilot studies were undertaken and at the London Hospital, for instance, there were computer terminals on every ward. From these terminals it was possible to do such things as check the pathology results and examine the waiting lists. The technology was simple by today’s standards, but it worked and was clinically relevant. Four decades later, the systems available, especially in the hospitals, have hardly changed, especially as far as communication between healthcare providers is concerned. In primary care the picture is much more encouraging, with the vast majority of general practitioners (GPs) using computers for the patient’s clinical record, writing prescriptions and for data collection. Like many public service computer projects, the National Health Service (NHS) has been subject to disasters and scandals, such as the Wessex Computer Programme, and the Clinical Terms Project, both of which sucked up huge sums of public money with little evidence of benefit. 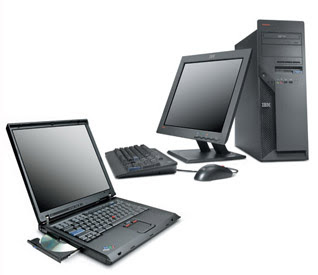 The Labour Government launched its NHS Information Technology (IT) Programme in 2003. The programme was meant to revolutionise the way information, especially that relating to the clinical care of patients, was handled and communicated. Four years later, with virtually none of the original targets having been achieved, this programme too looks doomed. It is important to realise that the programme is required and eventually it must be made to work. As medicine becomes more complicated and as the numbers of healthcare providers increases the need for fast, accurate and accessible clinical information becomes more and more important. Clinical audit, safe prescribing and evidence-based practice all require good IT systems. In a consumer-led environment the patient should have access to the information stored about him or her and also be able to make rational decisions on where and who can provide the best treatment for them. The sadness about IT in healthcare is that a simple set of decisions made thirty years ago would have led to a universally workable and reliable system. What was needed was the formulation of ‘industry standards’ for IT. These would have included the need for all local systems to talk to one another, the requirement to be updateable to include changes in technology and a reasonable degree of confidentiality. After all, we have this type of requirement in the broadcast media and in such things as the compact disc. It is not worth crying over spilt milk. Many systems have grown up, especially in primary care, and order and structure needed to be put into the system. Most hospital doctors cannot access pathology results from the hospital down the road. GPs in most areas cannot use computerised communication for the flagship programme ‘Choose & Book’, the patient having to make a telephone call, using a long booking number, to get their appointment. The idea of a centrally-driven programme is attractive, with economies of scale in procurement and the certainty that there will be system-wide compatibility. Richard Grainger, reputed to be the highest paid civil servant in Britain, is head of the programme and certainly appears to have delivered on the procurement issue. The deals struck with the computer companies are said to be the best ever negotiated in the history of the NHS and put most, if not all, defence projects to shame. Some parts of the programme, most noticeably the PACS imaging system, look successful and are being rolled out quite quickly. So what has gone wrong? Firstly the time scales have been hopelessly short. The whole of the programme should have been rolled out a year ago, yet most potential users are yet to see any advance, especially in the hospitals. Secondly, there are many good existing (or so-called ‘legacy’) systems already in existence and many of these just appear to have been dumped, without the useful functionality transferred to the new system as it develops. Thirdly, and most significantly, there has been minimal clinical engagement in the programme. IT has taken on a life of its own, the provision of the system being seen as a stand alone product. No one appears to have explained to Mr Grainger that IT is a tool to assist clinicians and managers and that if the users are not involved in every stage of its introduction, then failure will follow. In simple terms, if the IT system does not offer major benefits to the doctors, nurses, physiotherapists, etc. who have to use it, then they will not use it. Most GPs use their systems because they are easy to use, generate prescriptions, call up review patients and keep details of those procedures that attract additional funding. Most GP practices have had input into the specification and development of their systems – they have ownership. For them the new national system potentially threatens to remove that ownership and for the hospitals the almost total lack of clinical engagement has led to something like 75% of hospital doctors having little or no faith in the system. What can be done now? Firstly ‘Choose & Book’ should be suspended forthwith until the electronic system is fully in place. The present hybrid computer and paper system is amazingly time consuming, inefficient and wasteful. Secondly those legacy systems that are in existence or where in the latter part of development when the programme was launched should be allowed to continue and funds made available from central funds to enable them to interface with the new system. Thirdly, a major initiative should be launched to get full clinical engagement and again central funds should be made available to release clinical staff to ensure that local implementation is fit for purpose. M.P.s might like to approach their local Trusts, both hospital and PCTs, and ask some or all of the following questions. · When will the full implementation of the National programme occur within the Trust? · Are clinicians involved in the implementation? · If clinicians are involved, what percentage of the clinical staff have input? · Are sufficient funds being made available for the implementation of the programme? · Is ‘Choose & Book’ improving the patient experience? · What percentage of outpatient appointments is now being made by ‘Choose & Book’? · Has the PACS imaging system been introduced locally? · If so, is it proving efficient and effective? · Does the Trust use routinely collected electronic patient data for clinical audit and clinical effectiveness studies? · Does the Trust use electronic care pathways for the management of patients and if so how many and in what clinical areas?